Weather Channel Sued Over Storm Chaser Car Crash The suit alleges that the channel continued to employ two storm chasers, ignoring their alleged history of reckless driving. 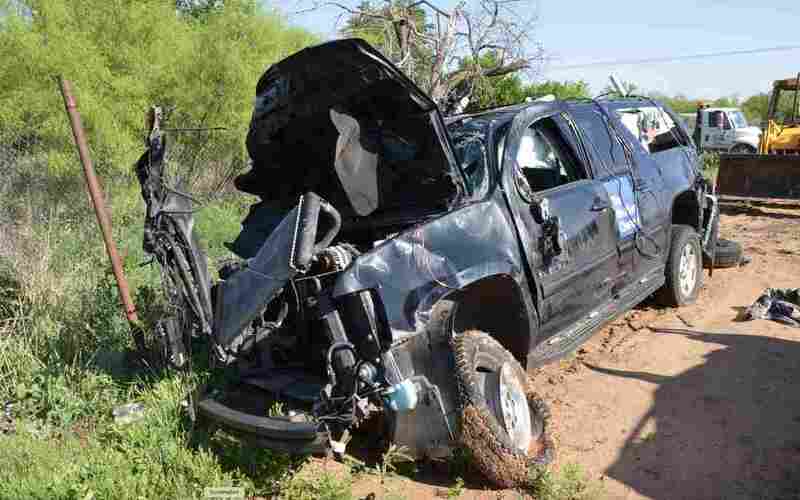 A crash eventually killed both storm chasers and the plaintiff's son. The car of storm chasers, Kelley Williamson and Randall Yarnall, was destroyed during the March 2017 tornado near Spur, Texas, leaving both men along with storm spotter, Corbin Lee Jaeger dead. Kelley Williamson and Randy Yarnall were known to storm chasers. The charismatic pair were stars of The Weather Channel show Storm Wranglers, in which they could be seen dramatically dashing down highways in pursuit of tornadoes. Their March 28, 2017, livestream chasing a tornado outside of Spur, Texas, started the same as usual — a wide shot of open road and looming dark clouds. But the broadcast abruptly ended. Local police reported that the pair allegedly drove through a stop sign, crashing into 25-year-old Corbin Jaeger, a storm watcher spotter with the National Weather Service. All three men were killed. Now, lawyers for Jaeger's mother, Karen Di Piazza, have filed a federal lawsuit seeking $125 million from The Weather Channel, the estates of Williamson and Yarnall, and others, for Jaeger's wrongful death. The suit alleges that Williamson and Yarnall "had a history of reckless driving when storm chasing and when filming [The Weather Channel's] television programming." The channel had been warned by other chasers that the men's driving "put others at risk." The lawsuit cited text messages between a storm chaser and one of the show's producers. The unnamed chaser warned the producer that Williamson's driving was of concern. "We are just hoping he doesn't get hurt or hurt anyone else," the unnamed chaser wrote in a text just weeks before the accident. The day after the accident, the chaser wrote to the producer, "I am obviously in a way dark place right now. I know many of us are. I guess that's [what's] killin me. I tried to tell him over and over." Nevertheless, the lawsuit says, the channel kept employing Williamson and Yarnall, "which ultimately led to Corbin Jaeger's tragic and completely avoidable demise." "We cannot comment on pending litigation," The Weather Channel wrote in a statement to NPR. "We are saddened by the loss of Corbin Jaeger, Kelley Williamson, and Randy Yarnall. They were beloved members of the weather community and our deepest sympathies go out to the families and loved ones of all involved," it said.